On your trip to Tenerife, you should not miss a visit to the Museum of contemporary dollart and Designer Teddies and discover a place, which is unique in Europe. You can find this fascinating collection within the rustic renovated buildings of ARTlandya. These old buildings are nestled within the tranquil tropical gardens. ARTlandya is situated in Santa Barbara, 3 km away from the historic centre of Icod de los Vinos. Far away from the mass tourism you can enjoy this permanent exhibition for artist - dolls and designer - teddies, created by many oft he best international well known artists. In an integrated workshop the visitors can see, how a doll in porcellain is made. 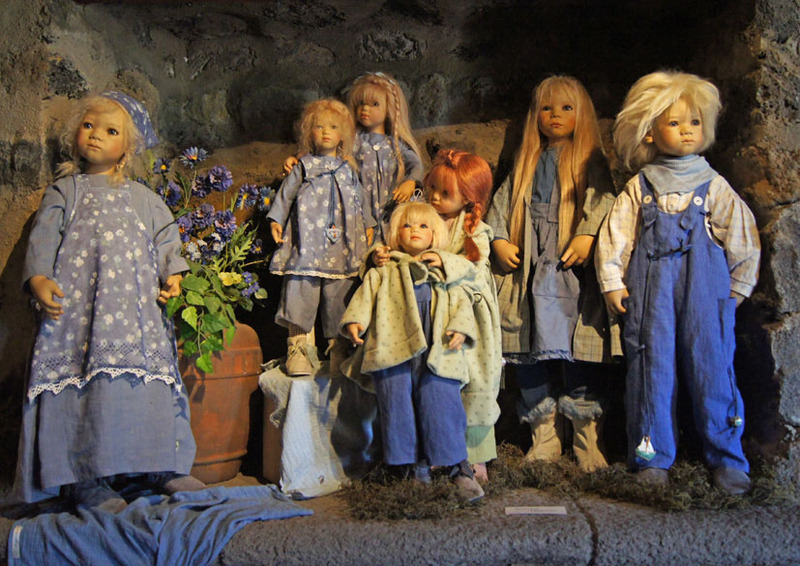 In a separated old farmhouse you will find a special shop with dolls and teddies in limited editions, but also you will find handcrafted dolls, teddies, and other handcrafted souvenirs for a lower pricelevel. Santa Barbara, Camino Moleiro 21, Icod de los Vinos, Tenerife. Adults 10 €; Children 6 to 14 years old : 4,50 €. Children 0 a 6 years : free entrance. Tuesday until Sunday, from 10:00 h to 18:00 h."